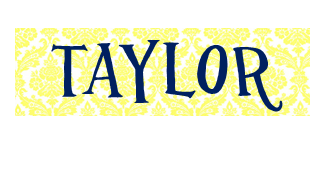 I think I am having a love affair with Monograms (as seen in my recent post here). I know I’m not alone, right? You know who else loves monograms; couples getting married that’s who. I know when I was engaged I loved receiving gifts with my new name on it. It seemed so magical. I created a stencil with vinyl using my Silhouette but you could easily just cut out the letters with an Exacto. Then I followed the directions on the back of my Etching Cream, kind of. My directions said to apply a thick, even layer, wait for 5 minutes then completely wash off. I looked after 5 minutes and it wasn’t a very strong etch, so I left mine on for about 12 minutes. I picture the newly weds having fresh squeezed orange juice out of these on Sunday mornings. Great idea and I LOVE that table the glass is on. Did you make that? So cute! Do you know if you could do this with a cricut? I cant take credit for my cute table, I got it when a Linens N Things was closing near my house. 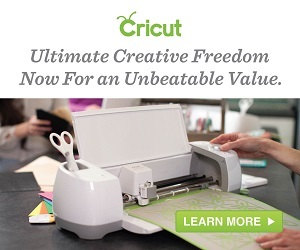 Laura- Do you have the new Cricut? I am pretty sure they new one cuts vinyl and if so then, yes! oh man I’ve been wanting to try etching. thanks for posting this. looks awesome! I love monograms too… they’re so classic. These will make a wonderful wedding gift!